I realize that you are on vacation now NR, but when you come back, could you write console tool that allow you to render sunvox files into wavs? So we can write script that e.g. would render our whole album - if there are only few songs it's not a pain to render them one by one, but when there is like 20 songs, it is certainly PITA. 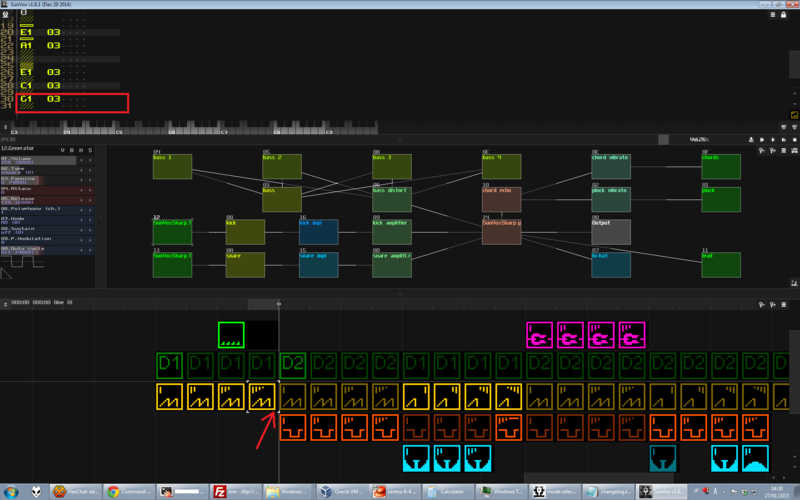 //edit: Also, if it is possible with sunvox lib, maybe someone could write such tool? Re: Command-line tool to render SunVox files into wavs? Sounds like it would be cool, CLI tools ftw! Keep in mind, there's this one tiny glitch -- if there's a pattern right before the beginning of the song, then the last two rows may make it into the .wav file! Couldn't figure out a way to fix this, unfortunately. Here's the download link, and if you're interested in the source code then have a look over here. Cheers! Wow, thanks for this. I like how the player keeps looping seamlessly, very useful for auditing a bunch of little sketches.